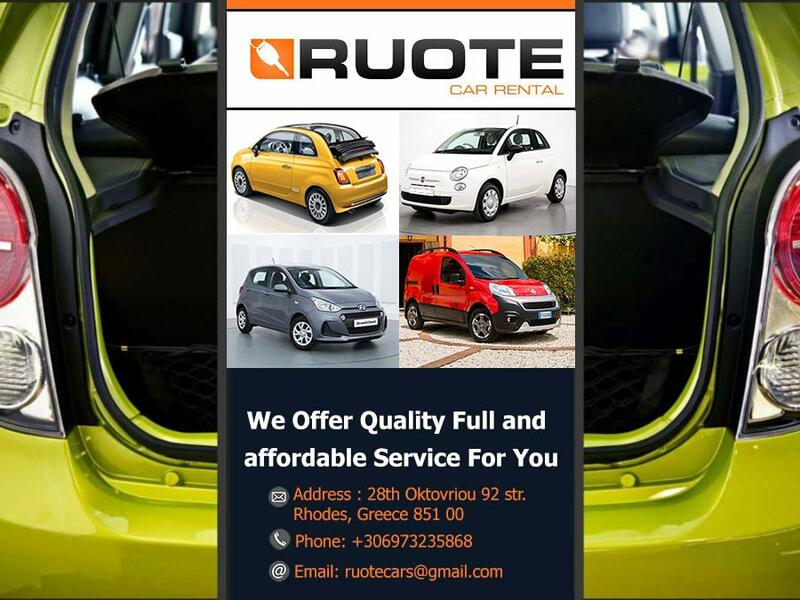 INFORMATION - Ruote rent a car in rhodes island, Rent a car in Rodos economic, safe and easy. Car rental at Rhodes airport & Rhodes port, economy car hire prices, discounts and special offers. Founded in 1972 Ruote car rental is one of the leading hire car companies on the island, due to its excellent customer service, professionalism, and competitive rates.We offer a wide choice of new quality cars, ranging from small budget cars, to our more comfortable premier range, allowing you to tour the island in luxury..
We deliver our cars directly to the airport, to the port or your accommodation.